I cannot tell you how deeply I miss Europe. The culture, food, people and landscape is so different - I love it. At the beginning of this year, I knew I wanted to take a trip...just didn't know where or when. 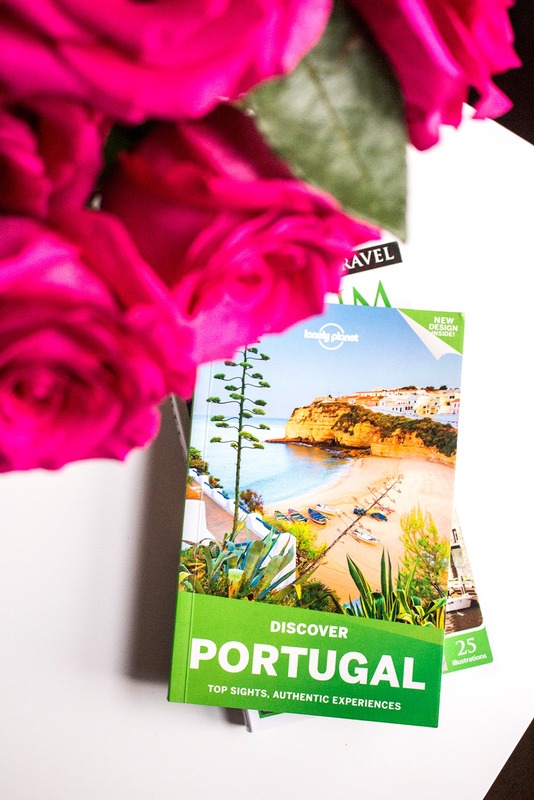 I was so excited when one of my favorite bloggers wrote about how she is hosting a trip to Portugal, I jumped at the chance and the rest is well, history in the making. 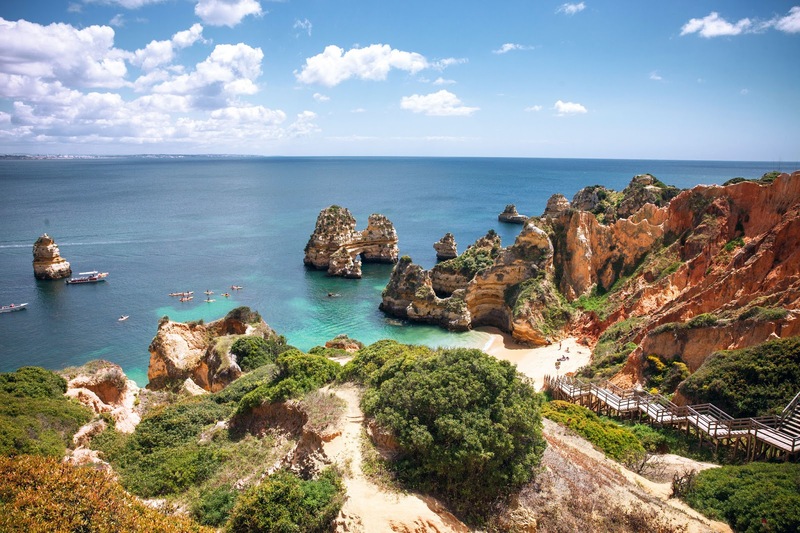 In August, I'm headed on a 10-day trip to Lisbon, Porto and Lagos (have you seen their beaches!?). I'm in the initial stages of planning but thankfully we already have an itinerary that we are going off of so that makes my planning a lot easier. I haven't lucked out in finding a lot of books that I like but I really love Lonely Planet's version. It has great reading tidbits in the beginning and pull out maps to use (I do plan to tack on the international plan to my phone for this trip lol). I also loving using blogs to plan trips, I find that others' experiences are the best recommendations. Day 1-3: I will first arrive in Lisbon and spend three days touring the city. 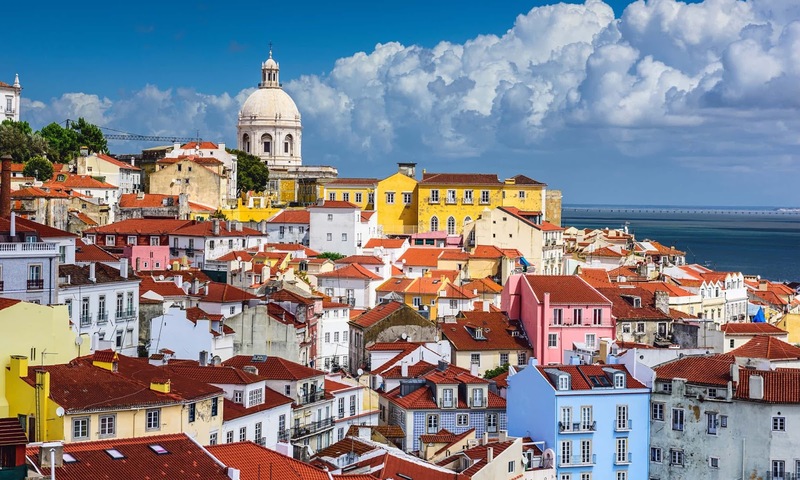 A day-trip to the colorful city of Sintra to view the Palacio de Pena (the most colorful palace you ever did see) is on the agenda as well. Day 4-6: Off to Porto! I'm so excited about this city, look how colorful it is. 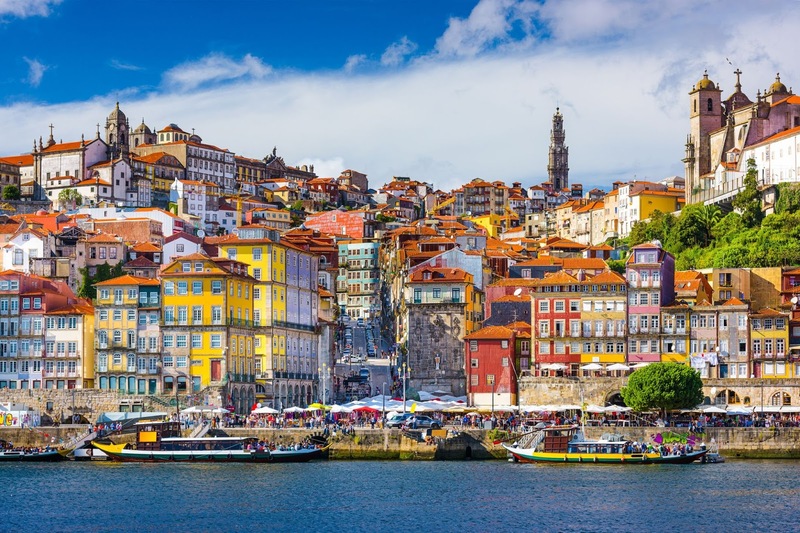 It's also the home of port wine...and the word is, you can find it cheap! I've already started outfit planning, I know that sounds silly but in a colorful city such as porto with fabulous port wine - this is what I imagine myself to look like💃🏻. Day 7-9: Heading South to Lagos! If you google Lagos, then you'll know my excitement. I've be craving a tropical vacation for years and since I'm going in the peak heat season - Lagos' beautiful beaches will perfect. If you've ever travelled to Portugal please comment below and let me know your must see's and must do's! The Cutest Spring Sneaker: Keds x Rifle Paper Co.